The correct choice of water tanks at the cottage is committed to ensuring the supply of drinking water, ensure independence from Central supply and will allow time to water the garden, vegetable garden. In the sale there are many types of barrels, and to choose the most suitable one is not as easy as it might seem at first glance. First we need to calculate the volume of purchased barrels, which depends on the number of people residing in the country. Often buy capacity 200 l; this is enough for 2-3 people. Under drinking water manufacturers offer barrels made from food-grade plastic. Usually they can be distinguished by two-layer material: the outside of this barrel is blue, (but not necessarily) inside – white. Food grade plastic is completely safe for humans and does not corrode and maintains taste of water poured into the barrel. Polyethylene capacity in the production is made by rotational molding, which allows to give the product the necessary flexibility. As a result, the barrels meet the most varied configurations: cubic, cylindrical. If you intend to install the tank indoors, then buy a small tank (or several tanks connected later), which you can push through the doorway. The popularity of plastic barrels due to the small weight of goods and long-term (30 or more) life. Polyethylene containers are not degradable, therefore they can be safely buried in the ground, if required by your scheme of water. And another plus – aesthetics: you can always pick the tank that best meets design, color of your house or building. Ideally, of course, it is better to use the same new plastic tanks; at least there is a guarantee that once a barrel is not stored toxic chemicals or gasoline, diesel oil. 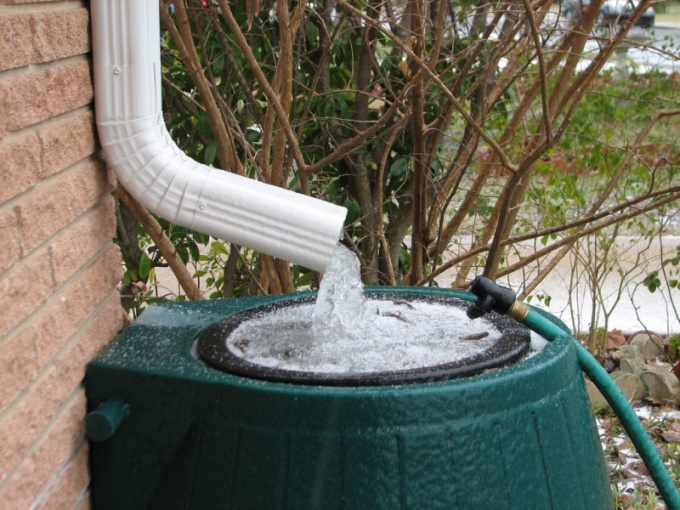 However, if you know that earlier in the containers was not hazardous substances, the barrel can be used as a storage of moisture for watering the garden or as a tank under a summer shower. If the container is metal, it is recommended to be primed and painted black to provide a more efficient heating from the sun. In most cases summer residents to install barrels used are two options: container buried in the ground or up above. In the latter case, water will flow by gravity; it is enough to put the faucet and the water supply system are ready. Pour water from a Central water supply system. Moreover, it is desirable to always have a supply of water, because in the period of watering gardens water pressure in centralized water system certainly falls.